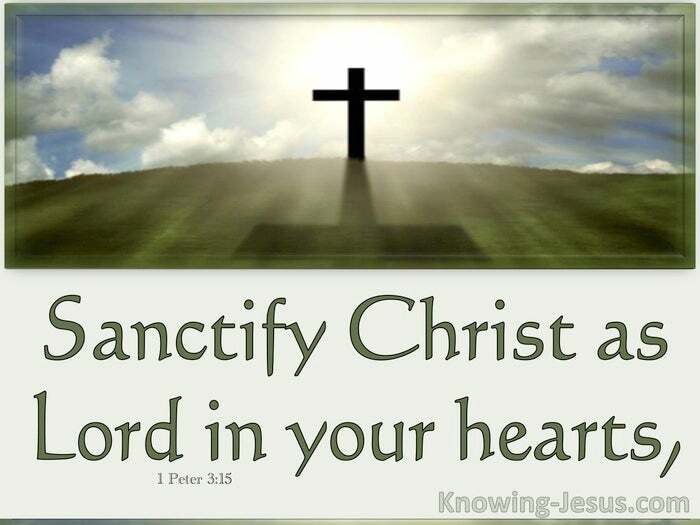 Sanctify Christ as Lord in your hearts, and always be ready to give a defence to everyone who asks you to give an account for the hope that is in you, yet do so with gentleness and reverence. “Spiritists” consider that Jesus, being more ‘divine’ than other men is absurd, while “Jehovah Witnesses” declare Him as a lesser god – a son of God, but not equal with God. “Unitarians” do not embrace the biblical Trinity, while “Christian Science” exponents state that Jesus was not Deity and equal with God, but a lesser created being – a son of God. Many Christian sects and antichrist cults, declare that there is no scriptural evidence of Christ’s claim to Deity, but unless the Lord Jesus was God there is no Christian faith. Liberal theologians deny a literal, historical, grammatical interpretation of scripture, preferring to spiritualise the bible with allegories – thus distorting biblical truth – but to explain away Christ’s deity is to render Christianity as a tissue of lies. Other ‘progressives’ ecclesiastical clerics cut and snip away portions of Scripture that challenge their world-view and render the very Word of God into an object of ridicule. But the Holy Bible is the source of truth for those that will delve deeply into its pages, and all who consider the Word to be God-breathed – will be rewarded with the truth. Those who deem Scripture as God’s inerrant message – will have their faith rewarded. Scripture is its own authority and Scripture is its own interpreter and can’t be broken, it is inspired by God and is useful to teach us what is true and to make us realise what is wrong in our lives. It corrects our faults and teaches us to do that which is good. But Scripture is a witness to the Deity of Christ – and His equality with the Father. Scripture endorses the biblical truth that Christ is God and is One with Jehovah God. The prophet Isaiah proclaimed the good news to Israel, “Clear the way through the wilderness for the LORD! Make a straight highway through the wasteland for our God!” Isaiah 40:3 And John the greatest prophet born of woman, pointed to Jesus as he quoted Isaiah: “Prepare the way for the coming of the LORD! – Make His paths straight!” Matthew 3:3 The Holy Bible is indeed a source of truth for all who delve deeply into its pages. The sweet Psalmist of Israel and esteemed King David proclaimed of Jehovah God: You have ascended on high, You have led captive Your captives; You have received gifts among men, Even among the rebellious also, that the LORD God may dwell there. Psalm 68:18 And quoting this passage in holy writ.. Paul, the apostle to gentiles declared of Jesus: When He ascended on high, He led captive a host of captives, and He gave gifts to men. 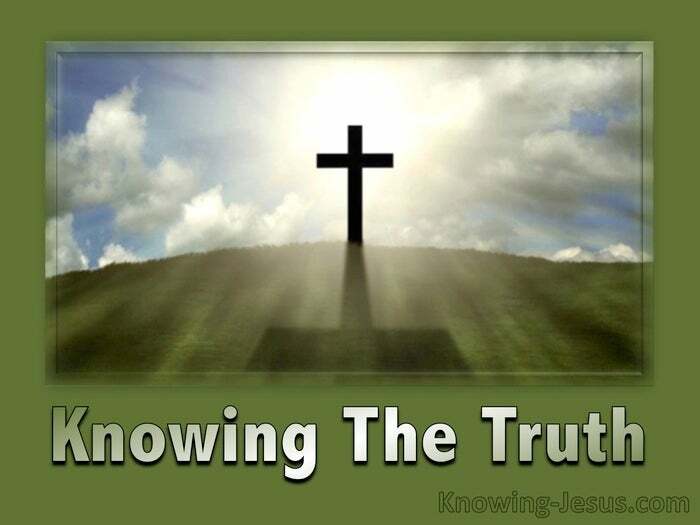 Ephesians 4:8 Surely all who study the God-breathed Scriptures – will be rewarded with the truth. And though God declared through Isaiah, I will not share My glory with another. Isaiah 48:11 He charged the heavenly hosts in the book of Psalms to: Worship Him all you gods – adore Him, all you his angels Psalm 97:7 – while the writer to the Hebrews quoting this verse, said: And when He brought His supreme Son – His firstborn Son – His preeminent Son into the world, GOD said, ” AND LET ALL THE ANGELS OF GOD WORSHIP HIM.” Hebrews 1:6 Those who deem God’s Word as inerrant – will indeed have their faith rewarded. There have been many sects and cults that deny the deity of the Lord Jesus Christ. Many groups declare that there is no scriptural evidence of Christ’s claim to deity, and liberal theologians deny a literal, historical, grammatical interpretation of scripture. But the Holy Bible is the source of truth for those that will delve deeply into its pages, and all who consider the Word to be God-breathed – will be rewarded with the truth, those who deem Scripture as God’s inerrant Word – will have their faith rewarded. Let us in our hearts revere Christ Jesus as Lord and God….and always be prepared to give an answer to everyone who asks you to give the reason for the hope that you have. But do this with gentleness and respect.